The AFL has this evening announced a record $2.508 billion, six-year broadcast rights deal with News Corp Australia, Seven West Media and Telstra. 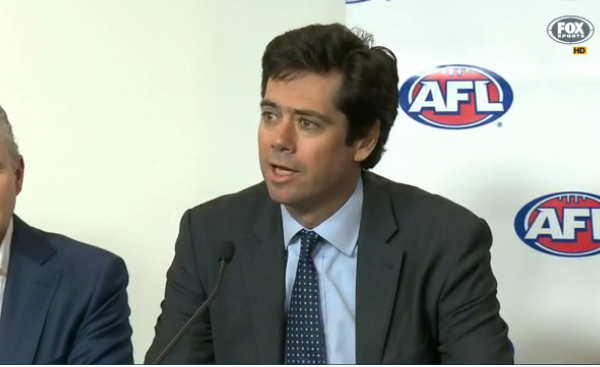 Heavy-hitters were out in force at the press conference announcing the new deal with AFL CEO�Gillon McLachlan joined by Rupert Murdoch, Robert Thomson and Kerry Stokes, amongst others. The new deal, which will run from 2017 to 2022, sees the AFL continue to retain full control�of the production of the match fixture, including the scheduling of the Grand Final. A standard round will continue to consist of 9 matches. one Sunday afternoon match in the 3.20pm Eastern Time zone slot live nationally. 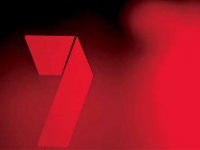 While this is similar�to�Seven’s current broadcast deal with the AFL, the major change will see the Seven Network lose a Saturday afternoon match and instead telecast 11 games live across the season that are played on public holidays, the eve of public holidays such as Anzac Day / Easter Thursday and between 5-6 Thursday night games. The outcome is that Seven will broadcast an average 3.5 matches per round across the season, which is half a game less than it currently does. For NSW/QLD fans, matches involving local teams will continue to be shown on free-to-air (presumably 7mate). While in WA and SA, matches involving local teams will be shown on free-to-air TV,�but three matches for each team in the premiership season will be broadcast on a delayed basis (these matches will be exclusively live on pay TV). with the exception of the Toyota AFL Grand Final, all other matches in the Toyota AFL Finals Series will be broadcast live. Interestingly, News Corp Australia has retained the right to sub-licence one game per round each weekend, which would be played in the Saturday Eastern time zone slot of 3.20pm, to a free to air provider. Also under the deal, for the first time Fox Footy will deliver games on all devices via Foxtel’s mobile app Foxtel Go and its Foxtel Play service. Telstra, under the new deal,�has retained the AFL rights�for all hand-held mobile devices, the AFL website � afl.com.au, the club digital network and IP television. It has been a big two weeks in broadcast rights news with the NRL last week announcing a $925 million dollar free-to-air rights deal with the Nine Network Australia for four live games on free-to-air each round, including State of Origin broadcast rights.�It will now be interesting to see how the NRL goes about selling its remaining rights given the commitments that News Corp Australia and Telstra has today made to the AFL.